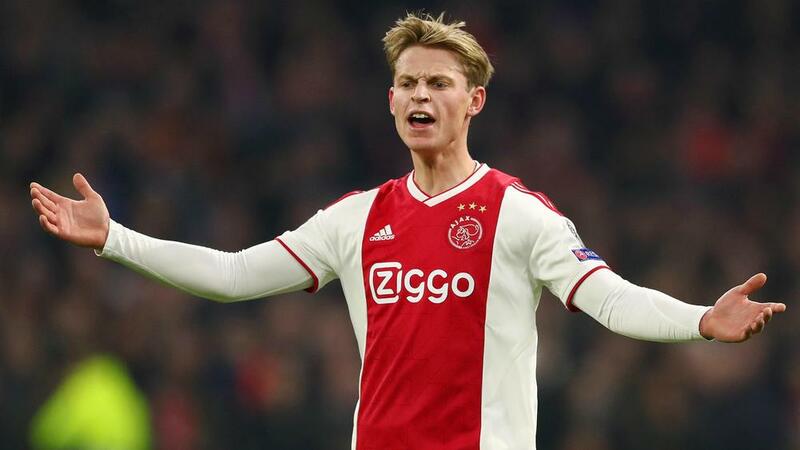 Ajax midfielder Frenkie de Jong suggested VAR is more likely to favour a "big club" in the wake of his side's controversial 2-1 Champions League defeat to Real Madrid on Wednesday. "We did well as a team. It's a shame our goal was disallowed. Maybe something like that is easy to do in favour of a big club. We've had that as well," he told NOS. "But we carried on well and we had our chances afterwards. It's too bad it didn't get us a better result. "In Spain, we have to play the same way we did at home, with bravery and conviction. Nothing has been decided yet. Real will feel more pressure in front of their own fans." "We can be proud of the team," he said. "We fought for each other. It's disappointing to give it away in the last few minutes. "If we play with the same attitude, the same guts, then we don't have to be afraid of the Bernabeu."